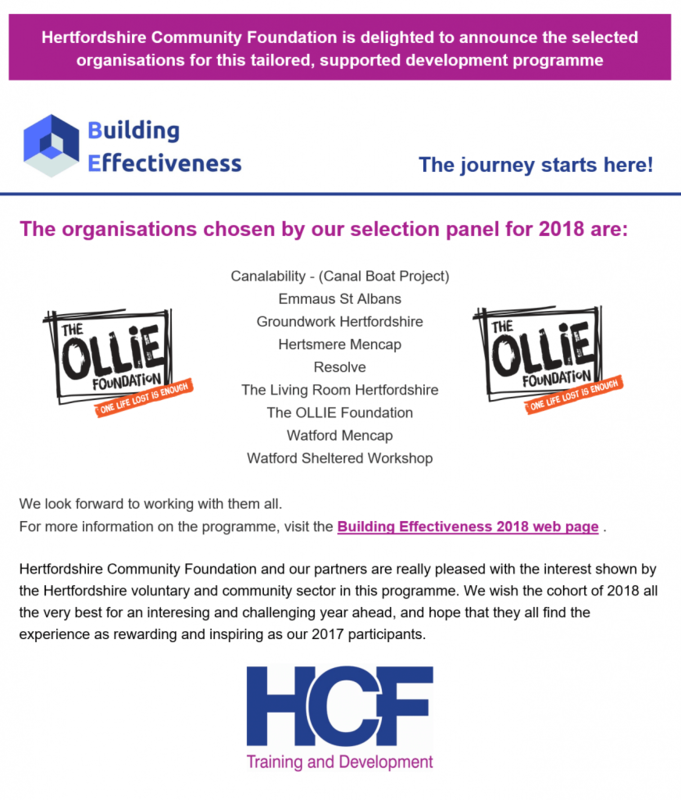 We are proud to announce that The OLLIE Foundation has been selected to participate in Hertfordshire Community Foundation’s Building Effectiveness Programme. The programme will provide a tailored, support development programme. OLLIE has been partnered with Sue Pearlman. 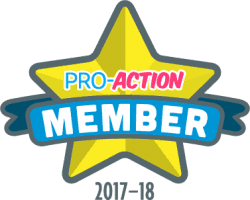 Sue is a skilled facilitator, trainer, supervisor and mentor. Her experience was gained mainly through her involvement with the Citizens Advice Bureau service where she started as a volunteer and rose to become District Manager for a group of CAB. OLLIE applied for this programme because in recent months, thanks to the hard work of our trustees, employee, volunteers and local community we have experienced exponential growth. As a growing charity we need to take our responsibility to respond to this growth appropriately, and the Building Effectiveness Programme is a perfect way to do this. We can grow and develop under the guideance of Sue, Herts Community Foundation and the additional learning opportunities that are offered. We are extremely grateful for this opportunity and look forwared to working with everyone involved.